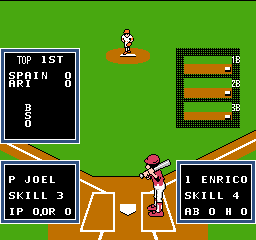 OverviewLittle League Baseball takes the professional ball of SNK's Baseball Stars and replaces the players with kids. Now you can add videos, screenshots, or other images (cover scans, disc scans, etc.) 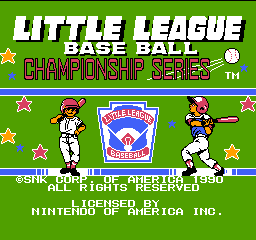 for Little League Baseball - Championship Series (USA) to Emuparadise. Do it now!